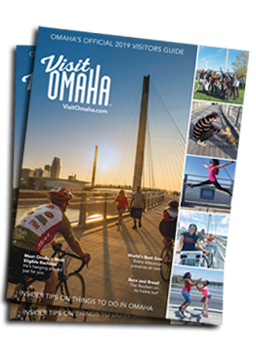 Omaha tourism means jobs for our friends, families and neighbors. This economic engine supports 17,280 local jobs – that’s one in seventeen jobs here in Omaha! From small business owners and hotel staff to retail clerks and restaurant workers, tourism means jobs. Don’t take our word for it - watch the videos below and hear how tourism supports these locals. As tour and events director for Omaha Culinary Tours, Kristin enjoys introducing visitors to Omaha’s dining scene… one bite at a time. A bartender at 1912, Julius shakes up uniquely delicious concoctions that keep visitors coming back for more. Recently promoted to Executive Housekeeper at the Fairfield Inn & Suites Omaha West, Catalina works behind the scene to ensure every guests feels at home. Arrow Stage Lines motor coach operator, Angela cherishes her time on the open road and the new friends she makes on each trip. Store manager at The Afternoon boutique, Jen loves meeting people from all over and helping them find the perfect souvenir.